As the connection between the gut microbiome and various diseases states continues to grow, researchers have begun to focus their attention on the early stages of human development and how early exposure to certain compounds can perturb the critical balance of species within the microbiota. An example of this type of research comes from a recent finding by investigators at McMaster University in Ontario that antibiotics administered during labor for Group B Streptococcus (GBS) affect the development of gut bacteria in babies. Results from the new study—published recently in Scientific Reports in an article entitled “Intrapartum Antibiotics for GBS Prophylaxis Alter Colonization Patterns in the Early Infant Gut Microbiome of Low Risk Infants”—showed that babies exposed to the antibiotics for GBS during labor had a delay in the maturation of their gut microbiota. Moreover, the data also revealed that this delay increased with longer durations of exposure to the antibiotics. 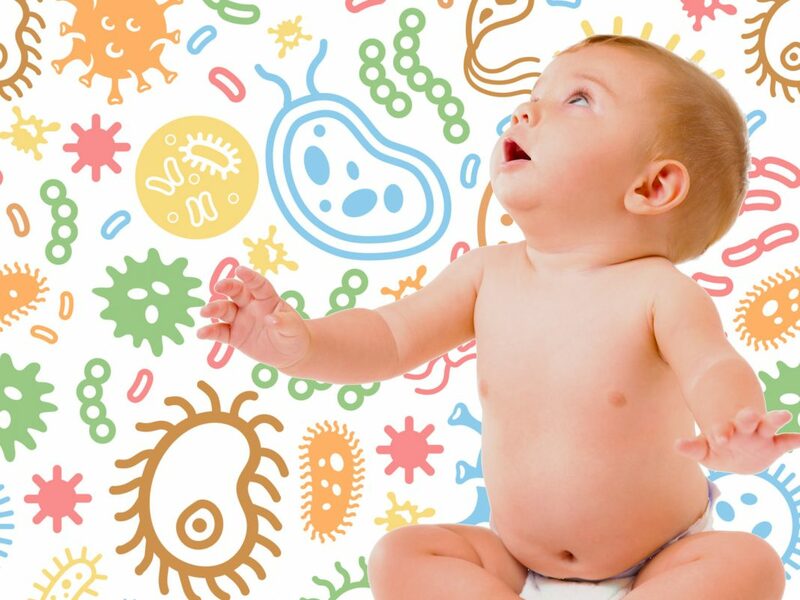 Interestingly, while the effects of antibiotics for GBS on the gut bacteria in babies was dramatic at early time points, they largely disappeared by 12 weeks of age. “Early-life microbial colonization and succession is critically important to healthy development, with impacts on metabolic and immunologic processes throughout life,” explained lead study investigator Jennifer Stearns, Ph.D., assistant professor of medicine at McMaster University's Michael G. DeGroote School of Medicine and a scientist of the University's Farncombe Family Digestive Health Research Institute. Approximately 25% to 30% of pregnant women test positive for GBS during routine screening, and the majority choose to receive antibiotic prophylaxis during labor to prevent GBS transmission to their infant at birth. Infant infections can lead to serious illness, including meningitis and death, in a very small number of infants, and antibiotic treatment is an important prevention strategy. In the current study, the research team utilized data from 74 mother–infant pairs in the McMaster pilot cohort called Baby & Mi. Participants came from low-risk populations in Hamilton and Burlington, Ontario. The gut bacteria development of the infants was tested at four points over the first 12 weeks of life: three days, ten days, six weeks, and 12 weeks postpartum. The babies in the current study were all healthy, full-term, breastfed babies, predominantly born vaginally, with a small percentage born by C-section that were also exposed to antibiotics to prevent surgical infection. As in previous studies, babies born by C-section had delayed expansion of the key gut colonizer compared to babies born vaginally without exposure. The McMaster team is leveraging this study as a launching point for further research using the Baby & Mi cohort.